Jetmark Aircraft Interior, Seat, and Emergency Equipment Repair | MRO Tulsa, OK | Jetmark Aircraft Interiors is a part 145 FAA approved Repair Station with Limited Airframe rating. 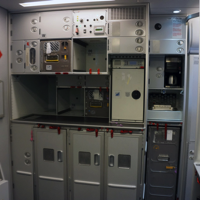 We specialize in commercial aircraft interior repair, aircraft emergency equipment repair, and Aircraft Seat Repair, with complete refurbishment and overhaul. We work on just about anything on the interior of the aircraft, except avionics. Jetmark Aircraft Interiors is a globally recognized aircraft interior repair and overhaul facility. We specialize in aircraft seating, galleys and lavs. We also have an emergency equipment rating that allows us to test, repair and certify lifevests, rafts and slides. An FAA Part 145 Approved Repair Station with Limited Airframe and Emergency Equipment Ratings. 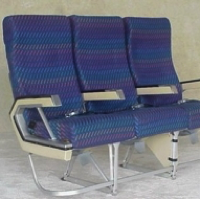 We repair, refurbish and overhaul all types of passenger and crew seats for all commercial aircraft. We have the capabilities for galley repair and overhaul. 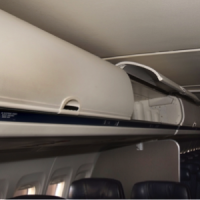 We have the capabilities to repair and overhaul overhead bins and sidewall panels. Please notify us if you would like a copy of our full capabilities. Jetmark Aircraft Interiors, LLC. was Established in 2008. We are a part 145 FAA approved Repair Station with Limited Airframe and Emergency Equipment ratings. We specialize in commercial aircraft interior repair and emergency equipment test and certification. Our Operations Specifications allow us to perform work on just about anything on the interior of the aircraft, except avionics. We have a very high level of proficiency in passenger seat, crew seat, galley and lav maintenance as well as interior component work such as seat cover cleaning, carpet cleaning and surging, side wall panels, dado panels, overhead bins, closets, class dividers and tray table repair. We are also authorized to test and certify emergency equipment such as life vests, rafts and slides. We are committed to meeting the short turn times many airlines require to get their interior items in and out of our shop on their schedule and we do it at extremely competitive prices with impeccable quality. We realize the importance of succinct communication as demonstrated in our customer service organization and every other aspect of our operation. Jetmark Aircraft Interiors is conveniently located at Tulsa Int’l Airport in Hangar 31. Our Hangar can accommodate most single aisle commercial aircraft. Our Hangar can accommodate almost any single isle commercial aircraft. If you are not familiar with our company and this is your first contact with us, we welcome the opportunity to hear from you! Please let us know what your needs and questions are, we will be more than happy to help.